Here we are in August and I find we're somewhere stuck in the middle of our renovation...mainly because we ran out of steam. the two bedrooms are nearly done Above is the 1st bedroom. In the second bedroom, I refurbished and chalk painted my old antique bed frame. It's in a beautiful color, French Quarter Rain, from my own line of paint, Cottage Nest Paints. Also, in the same room, will be an antique desk gifted to me...it needed so much work but it looks like it will be an amazing piece. Welcome! 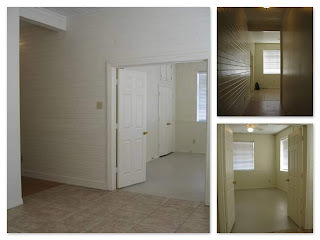 Looking to visit our charming town of Ponchatoula, LA and perhaps stay in a private, comfortable home conveniently located to both New Orleans and Baton Rouge? Well, soon you will be able to stay at our lovely "Le Roost"! We're renovating an existing upstairs apartment in our historic 1925 building; formerly the Old Nehi Bottling Company. This spacious unit will room up to 6 people and have all the creature comforts to make you feel at home. 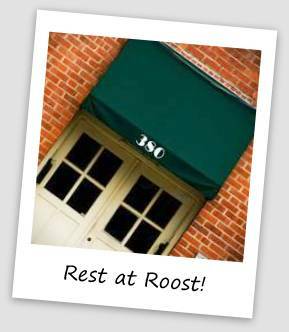 Follow along step by step, as my family and I ready this "Roost" for your visit. We'll also share our favorite places and events in town and even day-trips that are off the beaten path. We're opening the West-side apartment next to our current rental very soon! This unit is a little larger and will continue to help fill our niche of hosting families in the New Orleans and Baton Rouge areas. This apartment still has a fun quirky aesthetic, but if I were to describe LeRoost West (our current rental) in the style of New Orleans' French Quarter, then the new LeRoost East will have a Garden District vibe. We had fully anticipated this unit to be done by the holidays; however, much like the 1st rental...everything takes longer than you think!